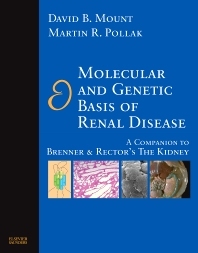 This companion to Brenner and Rector's The Kidney offers a state-of-the-art summary of the most recent advances in renal genetics. Molecular and Genetic Basis for Renal Disease provides the nephrologist with a comprehensive look at modern investigative tools in nephrology research today, and reviews the molecular pathophysiology of the nephron as well as the most common genetic and acquired renal diseases. A comprehensive clinical review of Medelian renal disease is also be included. Detailed review of the molecular anatomy and pathophysiology of the nephron that provides relevant basic science to consider when diagnosing and managing patients with these disorders.